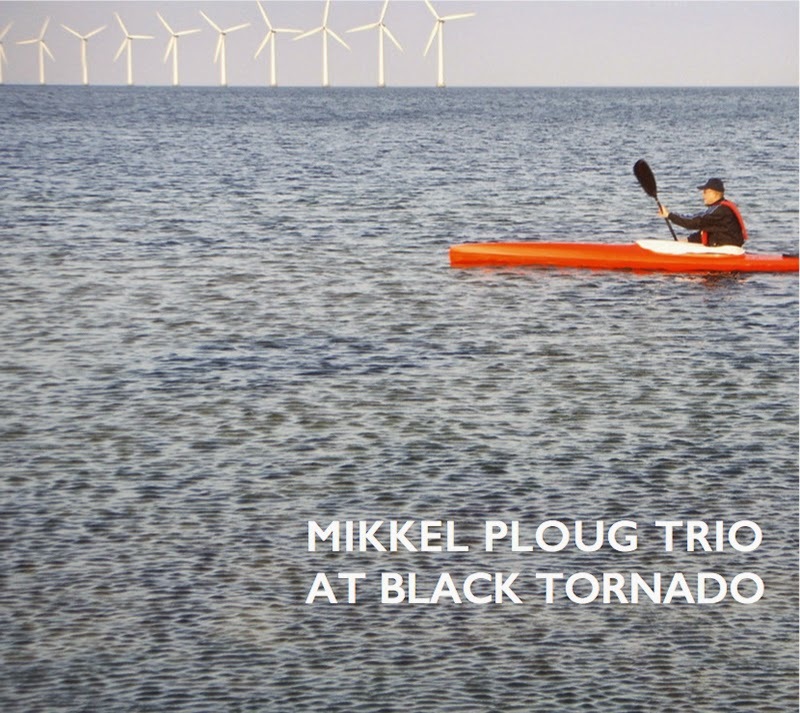 bebop spoken here: CD Review: Mikkel Ploug Trio - At Black Tornado. Mikkel Ploug (gtr); Jeppe Skovbakke (bs); Sean Carpio (dms). At Black Tornado is Danish guitarist Mikkel Ploug's seventh album and his first for Whirlwind. Recorded at the Black Tornado Studios in Copenhagen on January 28/29 last year, the album was launched at Ronnie's earlier this week. The trio have also appeared elsewhere in London as well as Birmingham and Bungay in Suffolk. Unfortunate that they didn't venture further north whilst in the UK as the music is deserving of the widest possible audience. Unlike a lot of Nordic bands this trio remain within the bounds of convention. That they do so without sounding dated is surely proof that they are very much of today. save to say that they sound unusual - the album notes suggest they're Monk inspired and that would explain a lot! Skovbakke's bass sound is also unusual, brought about by his high string action enabling him to get a powerful acoustic sound. Carpio adds rhythmic variations of his own - at times seemingly at odds with the others but never jarringly so. In effect it's 3 travelers heading in the same direction by different routes with their paths criss-crossing until they eventually reach their goal. To buy or listen follow this link. Mikkel Ploug Trio - At Black Tornado will be available from April 13 on Whirlwind Recordings WR4661.